Children's party entertainer | Clown. Dave's birthday parties are energetic, funny and captivating for children of all ages, all of the games are supervised so do not allow the kids to race around and hurt themselves. The birthday boy or girl is certainly made to feel really special and always gets a rather spectacular balloon bike. Scroll down the page to view our videos. Children's Entertainer Dozy Dave and his team of party magicians can provide you with shows during weekdays plus evenings, not just the weekends. Dozy Dave travels the entire North West, North Wales, Yorkshire, Cheshire and Lancaster and has been entertaining children since 1996. For wedding ceremonies, christenings, communions or any type of function that includes adults and children. 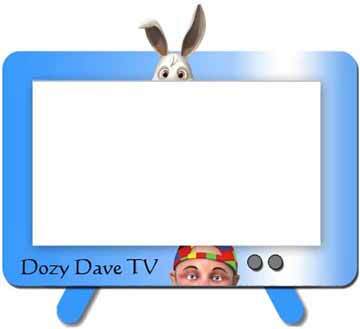 Dozy Dave and friends can provide you with a family show, this will entertain and incorporate both children and adults. Dozy Dave the Top children's party entertainer | Clown in your area.